The overall deadline to apply during this open enrollment period lasts until the end of March. Sixty five thousand Alabamians bought coverage under the Affordable Health Care Act during the latest sign-up period starting last October. The list of cars being featured at today’s start of the North American International Auto Show in Detroit includes Mercedes Benz GLE Coup. It’s an SUV intended to be a sporty competitor to the X6 vehicle by BMW. The GLE Coup will be built at Mercedes’ North American production facility near Tuscaloosa. Industry observers think the current economic climate might favor European built SUVs, luxury sedans and sports cars. Gas prices are falling, which could help sales of vehicles considered to be gas guzzlers. Also, the U.S. dollar has risen thirteen percent against the Euro and fifteen percent against the Japanese Yen, which could make American purchases of foreign cars more attractive. Automotive News reports Mercedes sales in the U.S. was up seven percent over 2013. The North American Car Show runs through January 25. A three-judge panel of the 11th U.S. Circuit Court of Appeals will hear former Alabama Governor Don Siegelman's bid for a new trial, in what could be the imprisoned Democrat's final bid for freedom. 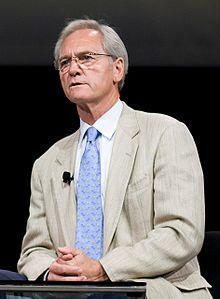 Siegelman is seeking to overturn his 2006 conviction on bribery and obstruction charges. Siegelman is also asking the court to cut his 6 1/2-year prison sentence. The arguments are scheduled for Tomorrow in Atlanta. Siegelman is serving his sentence at a Louisiana prison camp and is projected to get out of prison in 2017. A judge has denied former Alabama Governor Don Siegelman's request to get out of prison while he continues to appeal his 2006 bribery conviction. U.S. District Judge Clay Land of Georgia said while Siegelman raised "significant issues that deserve serious consideration," he believes the 11th U.S.